Oat cakes are a whole grain food that can be topped with so many different ingredients – you could never get bored! At approximately 200 calories or less, the following oaty snack ideas are quick and inexpensive to make, and offer a more nutritious and delicious alternative to snacks high in salt, fat or sugar. They’re also great finger food for parties or picnics. 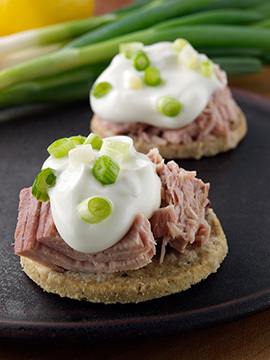 Two oatcakes topped with canned tuna, low fat crème fraiche and sliced spring onion. 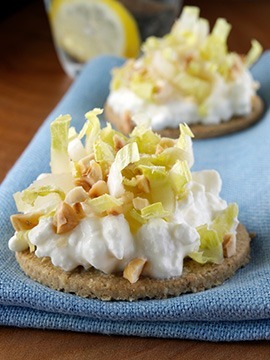 Two oatcakes topped with cottage cheese, chopped hazelnuts and shredded chicory leaves. 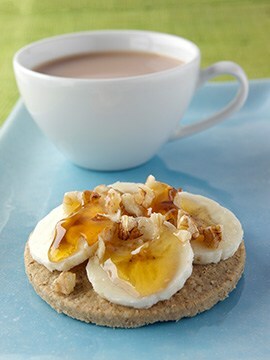 Two oatcakes topped with sliced bananas, chopped walnuts and a drizzle of honey. Two oatcakes topped with sliced, reduced fat, mature hard cheese (e.g. 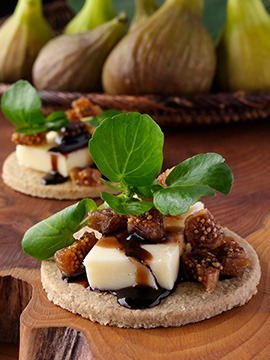 cheddar), chopped dried fig, garnished with watercress and a dash of balsamic vinegar. 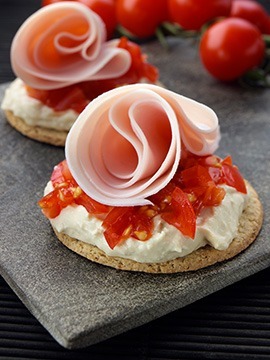 Two oatcakes topped with hummus, chopped cherry tomatoes and sliced roast turkey. 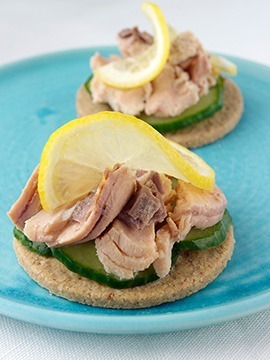 Two oatcakes topped with sliced cucumber, tinned salmon and a squeeze of lemon. 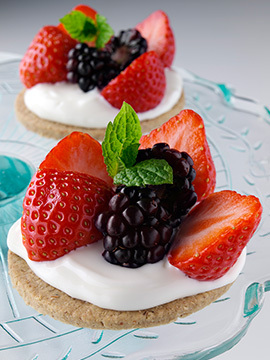 Two oatcakes topped with low fat crème fraiche, sliced strawberries and blackberries and fresh mint. 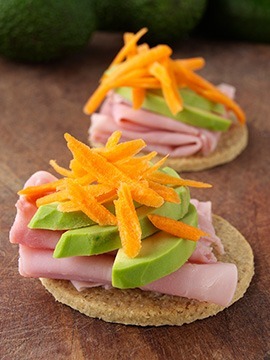 Two oatcakes topped with lean sliced roast ham, sliced avocado and grated carrot.